Please note< font conductivity water processing.< style="font-size: 10pt; font-weight: 700"> that the replacement filters for the new Alkaviva H2 models are different from previous models. 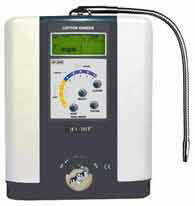 Alkaviva water ionizers have the lowest return rate in the industry. If something does go wrong with your electric ionizer, you can be confident with your AlkaViva Lifetime Warranty (Limited) and our top notch customer service. This warranty applies to all AlkaViva electric ionizers purchased AFTER August 2009. (Please refer to your individual warranty card for purchases prior to September 2009). Durability An ionizer is an investment - you want it to last! < font style="font-size: 10pt;"> Emco Tech has been an industry leader for over 30 years. 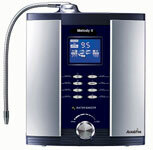 AlkaViva alkaline water ionizers benefits from Emco Tech R&D Advantage. You can expect that this company will be around for years to support you and your investment. We know first hand several customers who call us in desperation trying to find a replacement cartridge filter or a part they need to get their machine working because the person or company they bought it from no longer exist. rest assured that AlkaViva formally Jupiter is not one of those companies. You can feel confident that AlkaViva will be there when you need them. 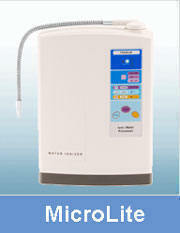 EMCO produces top performing ionizers such as cutting edge AlkaViva Athena and Delphi water ionizers. 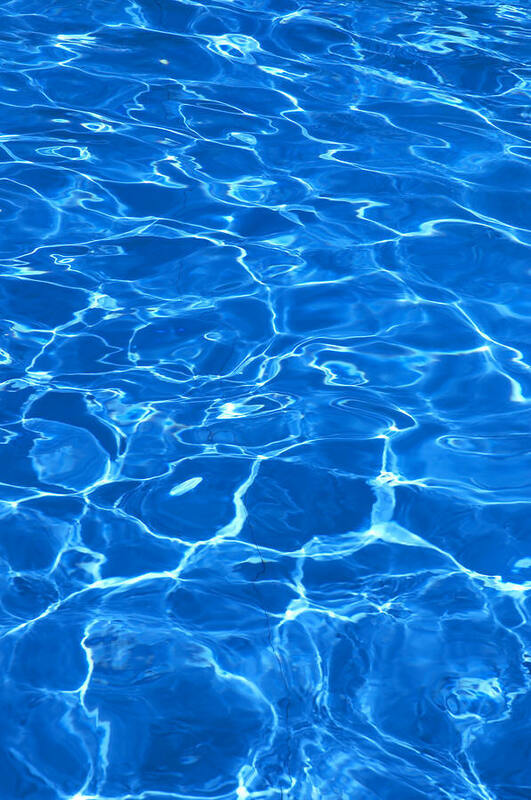 < font style="font-size: 10pt;"> Renowned healing waters around the world share two common properties: they are higher in pH and negatively ionized. An ionizer from AlkaViva recreates these properties using water from your tap to create the healthiest water you can drink. < font style="font-size: 10pt;"> pH is a measurement that indicates the level of alkalinity or acidity as measured on the pH scale. More and more researchers and health practitioners understand the importance of balancing body pH to maintain good health. Ionization raises or lowers the pH in water and drinking ionized alkaline water can help you maintain this ever important balance. < font style="font-size: 10pt;"> Ionization also alters the water's electrical properties. The way this is measured is through Oxidation Reduction Potential or ORP (redox) which is expressed in millivolts. Alteration to the ORP is what gives ionized alkaline water its super-hydrating, antioxidant and oxygenating effects. 1. A reversal of the polarity on the electrodes which repels anything that is sticking there. 1. For optimal cleaning, the ionizer must feature a good acidic to alkaline cleaning ratio. The more acidic water is run to bath the electrodes the cleaner the ionizer and the greater its performance and longevity. This is not unlike putting in extra "elbow grease" to clean a tough spot - a brief once over will often not do the job effectively. 2. The way an ionizer is "programmed" to clean is crucial in determining the cleaning ratio. Some units clean each time you start water flow (you must either wait or override the cycle). Some units operate on a timer system that initiates cleaning on an interval such as every 12 hours. 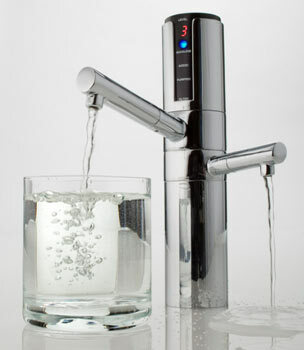 Some are set to trigger cleaning after a set volume of water passes through the ionizer. Some even require manual cleaning, where the user has to initiate cleaning. Each has its draw backs: you can forget to trigger a manual cycle, you have to wait or override a pre-use cycle, the timer based systems and in fact all these systems have poor acidic to alkaline cleaning ratios (or not enough elbow grease). The final drawback is that with each of the above systems you have to wait for the cycle to complete before you can receive alkaline drinking water. < font style="font-size: 10pt;"> The AlkaViva Isis/Melody – our entry level ionizer – sets an industry standard by employing an Automatic Post-use Self Cleaning mechanism - meaning it cleans automatically in the background after each and every use. This provides a better acidic to alkaline cleaning ratio than other reverse polarity ionizers. 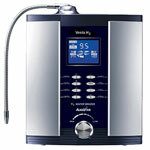 Additionally, with its Patented Reversible Chamber you never have to wait to get your alkaline water - an industry first! DARC stands for Double Automatic Reverse Cleaning. The DARC system achieves the 100% effective 1:1 acidic to alkaline cleaning ratio by cleaning while you are making alkaline water - each and every time. They accomplish this by reversing the polarity every 20 seconds. Therefore if you run the DARC cell for 40 seconds you get 20 seconds of one polarity and then 20 seconds of reversed polarity. You also never have to wait for or even think about your cleaning cycle. The revolutionary patented DARC Cleaning System is a standard feature on the AlkaViva Athena and AlkaViva Delphi models. < font style="font-size: 10pt;"> By contrast, Emco Tech's revolutionary BioStone Filtration System employs 9 stages of filtering media to remove contaminants and to assist in the functional alteration of the water. The BioStone employs two stages that function to alter the water. The first functional stage is calcium in the form of NSF certified granulated calcium sulfite. The calcium adds a slight amount of alkaline mineralization and helps improve the taste. The second functional stage is tourmaline employed in BioCeramic bead form. The BioCeramic beads completely encase the tourmaline in a 100% non-leaching ceramic coating. The Tourmaline emits FIR energy through the ceramic coating. The FIR slightly alters the water's electrical properties lowering the surface tension. To read more information click on BioStone Plus. < font style="font-size: 10pt; font-weight: 700;"> Easy. Elegant. Effective. The warranty on AlkaViva ionizers begins on the original purchase date. The AlkaViva Lifetime warranty covers the original purchase for LIFE on all ionizer parts (not accessories). 100% of labor costs are covered in the first 5 years. After the first 5 years the purchaser is responsible for any labor costs-to a maximum of $199. AlkaViva will cover all shipping costs for 1 year, and then return shipping for up to 5 years from the original date of purchase. After that, the purchaser is responsible for all shipping costs. Items that have not been assigned an RMA number will not be accepted. This warranty only covers failures due to defects in materials and workmanship which occur during normal use. This warranty does not cover damage which occurs in return shipment, or failures which are caused by products not supplied by the warrantor, damage due to mineral build up, or failures which result from accident, misuse, abuse, neglect, mishandling, faulty installation, misapplication, improper insertion of consumables, set-up adjustments, maladjustment of consumer controls, improper operation or maintenance, alteration, modification, power line surge, improper voltage supply, commercial use, or service by anyone other than an AlkaViva authorized repair facility, or damage attributable to acts of God. < font> Please be aware that most of the discontinued machines use the same replacement cartridge filter as current models. This is a sign that you can depend on this company to support their machines for years to come.